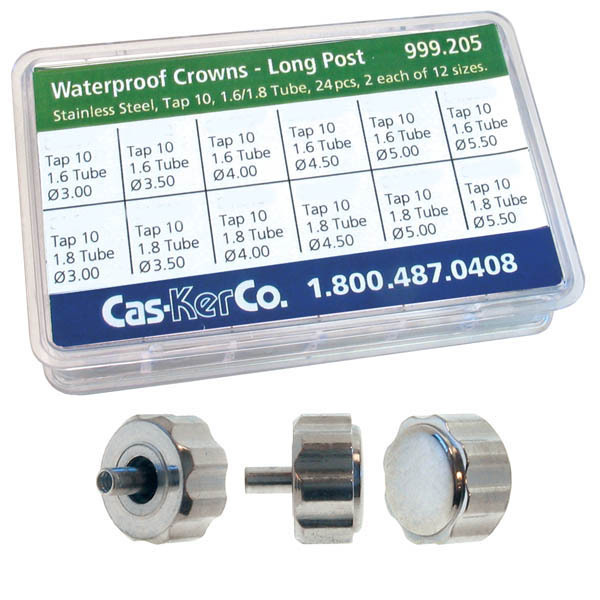 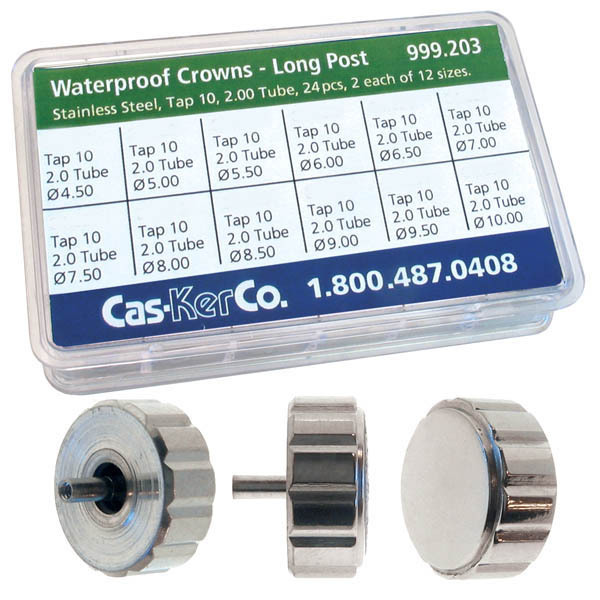 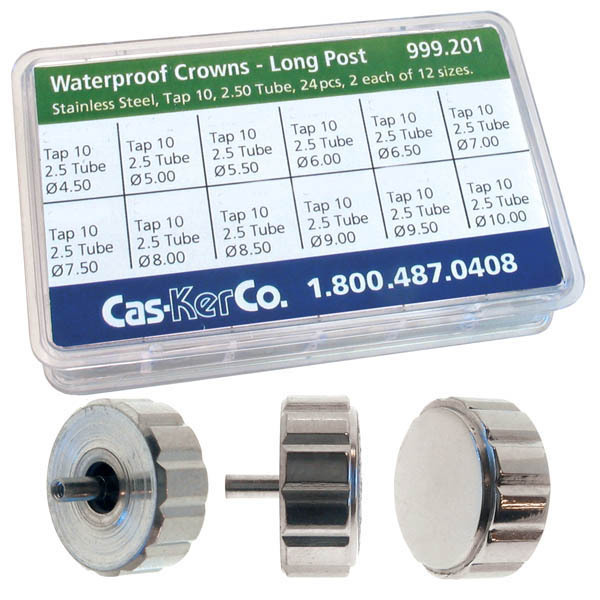 Wrist watch crowns and pocket watch crowns available in assortments or individually. 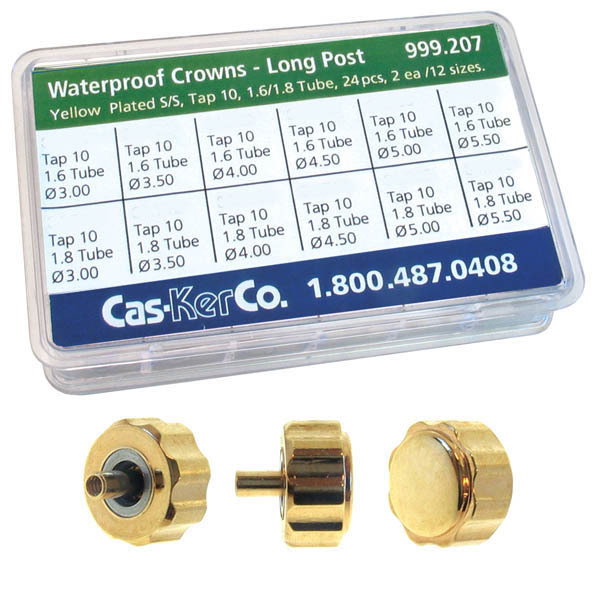 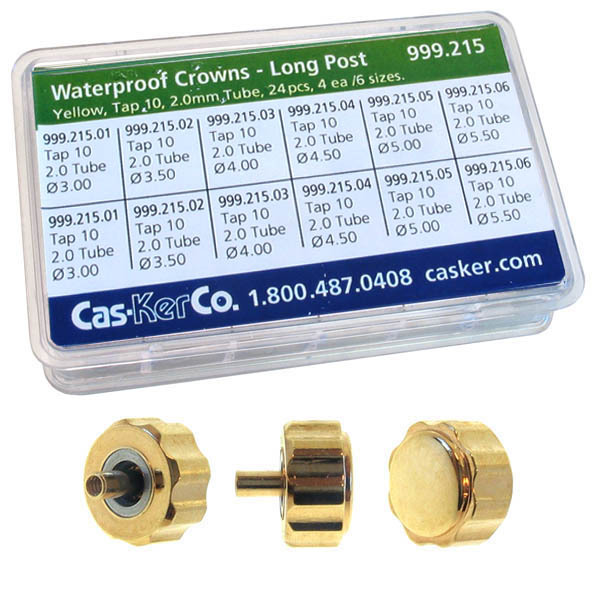 Cas-Ker is a full-service distributor to professional jewelers and watchmakers. 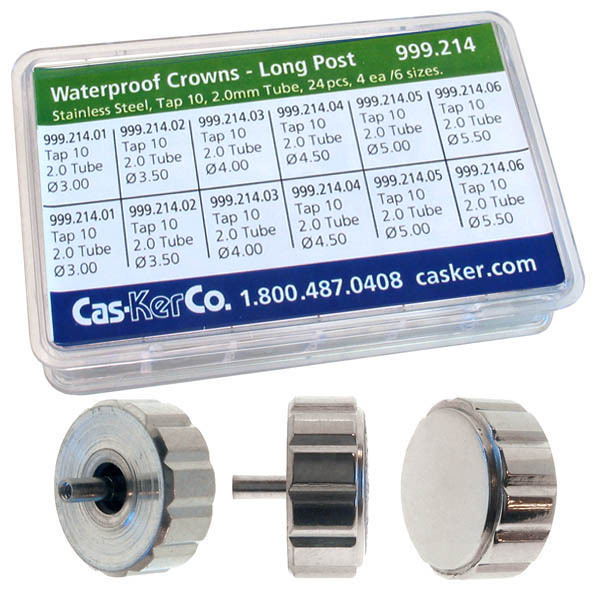 Our inventory may be the world's largest selection of horological products including watch parts, batteries, jewelers' and watchmakers' tools, testing equipment, supplies, and more.